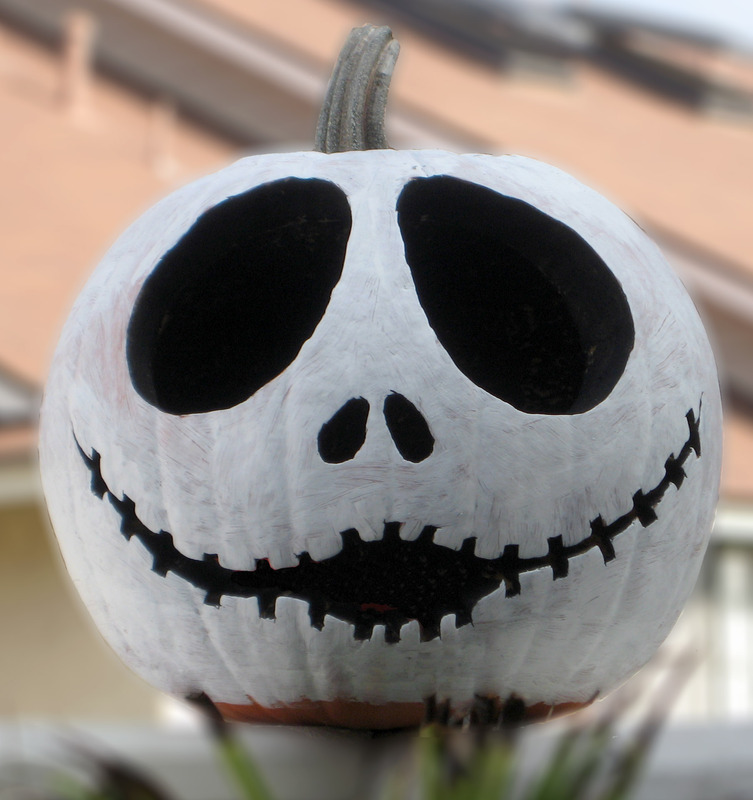 Last Halloween I wanted to carve a “Jack” pumpkin. I started with the basic cutout and that would of work, but it felt it was missing something. So I added color and painted the interior black and the exterior white as you can tell by the pic. That gave him his trademark look that I was trying to achieve, and to light him up I put a simple bright green glow stick. The craftsmanship is not to top finish but since I knew it was a one night deal it was fine. That Halloween night many neighborhood kids expressed how much they liked the pumpkin, especially the little ones when they just point and say “Jack”. The only bad thing is that I have no pictures of the night shots but I am working on getting some, and as soon as get them I will put them up. Just wanted to share this home art project hopefully it inspires others to create for next Halloween.